Situated in Minneapolis, this historic vacation home is 0.2 mi (0.4 km) from Museum of Russian Art and within 3 mi (5 km) of Chain of Lakes and Lyndale Park. Lake Harriet is 2.9 mi (4.7 km) away. Situated in Minneapolis, this historic vacation home is 0.4 mi (0.6 km) from Museum of Russian Art and within 3 mi (5 km) of Chain of Lakes and Lyndale Park. Lake Harriet is 2.9 mi (4.6 km) away. Situated in Minneapolis, this historic vacation home is 0.7 mi (1.1 km) from Museum of Russian Art and within 3 mi (5 km) of Chain of Lakes and Lyndale Park. Lake Harriet is 2.7 mi (4.4 km) away. 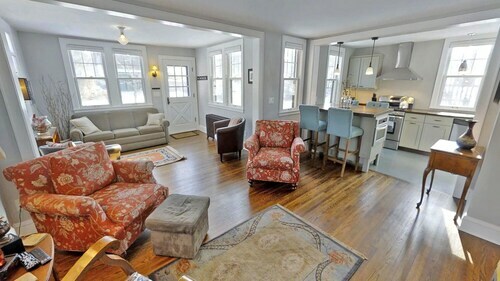 Situated in Minneapolis, this vacation home is 0.6 mi (0.9 km) from Museum of Russian Art and within 3 mi (5 km) of Chain of Lakes and Lyndale Park. Lake Harriet is 2.7 mi (4.4 km) away. Situated in Minneapolis, this historic vacation home is 0.7 mi (1.2 km) from Museum of Russian Art and 2.6 mi (4.2 km) from Chain of Lakes. Mall of America and Nickelodeon Universe are also within 6 mi (10 km). Situated in Minneapolis, this vacation home is 0.7 mi (1.2 km) from Museum of Russian Art and 2.6 mi (4.2 km) from Chain of Lakes. Mall of America and Nickelodeon Universe are also within 6 mi (10 km). Situated on the waterfront, this romantic vacation home is within 1 mi (2 km) of Chain of Lakes and Museum of Russian Art. Lyndale Park and Lake Harriet are also within 3 mi (5 km). Situated in Minneapolis, this vacation home is 1.2 mi (1.9 km) from Museum of Russian Art and within 6 mi (10 km) of Mall of America and Nickelodeon Universe. Minneapolis Institute of Arts and Chain of Lakes are also within 6 mi (10 km). Situated in Minneapolis, this historic vacation home is within 1 mi (2 km) of Chain of Lakes and Museum of Russian Art. Lyndale Park and Lake Harriet are also within 3 mi (5 km). Broaden your understanding of local traditions and customs when you visit Museum of Russian Art. It's just one of the many activities to see and do in the wonderful city of Minneapolis - St. Paul. You won’t be left out in the cold when searching for somewhere to stay around Museum of Russian Art. Choose from 87 hotels within easy commuting distance. See which catches your eye out of the Hotel Ivy, a Luxury Collection Hotel, Minneapolis and Residence Inn By Marriott Minneapolis Downtown. 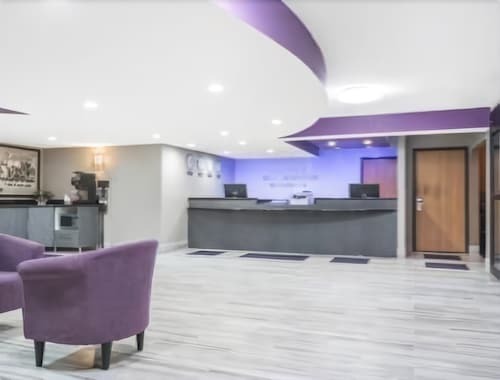 You can save some of your hard-earned money for the things you really enjoy when you spend a night or two at one of the reasonably priced hotels that are a short drive away. Some favorites are the Days Inn Hotel on University and the University Inn. Are you somebody that has extravagant tastes? You'll find a couple of top-rated hotels located a short drive away. To avoid disappointment, it may be a good idea to reserve a room well ahead of time. Try the Loews Minneapolis Hotel and The Westin Edina Galleria. Holiday Stationstores (5444 Nicollet Avenue, Minneapolis) has to be one of the most reputable venues for a quick bite to eat. Think you could still fit a bit more in? Even if you discover that your stomach can't quite keep up, you will appreciate the dishes at Cathay Chow Mein, (5457 Nicollet Avenue, Minneapolis). Broaden your cultural experiences and see a play at Parkway Theater. Many tourists like checking out Lake Nokomis. Pack a lunch and just relax. Sharpen your swing and attempt to shave a few strokes from your score at Hiawatha Golf Course. Visit the shores of Lake Harriet, where you might like to have a picnic and bask in the beauty of nature. Hoping to find some parkland to have a relaxing walk or simply sit in the sun? Head over to Lyndale Park. How Much is a Hotel Room in Museum of Russian Art? Hotels in Museum of Russian Art start at $59 per night. Prices and availability subject to change. Additional terms may apply.